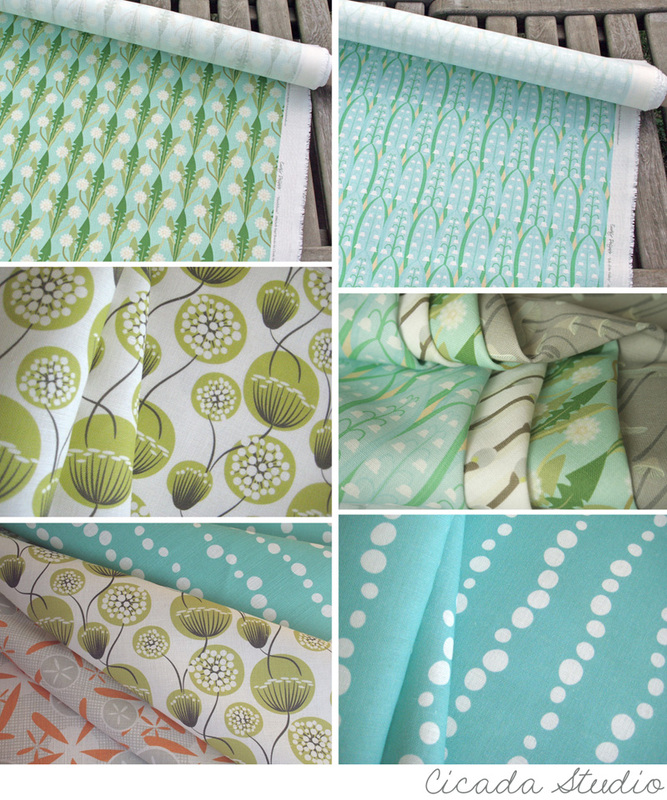 Have you seen all of the gorgeous new prints and patterns over at Cicada Studio lately? Oh my, this is a must see post if you're scouting for fabric for your next project. Designer Michelle Engel Bencsko just keeps getting better and better in my book, I love watching her collection evolve each season. Way to go Michelle! 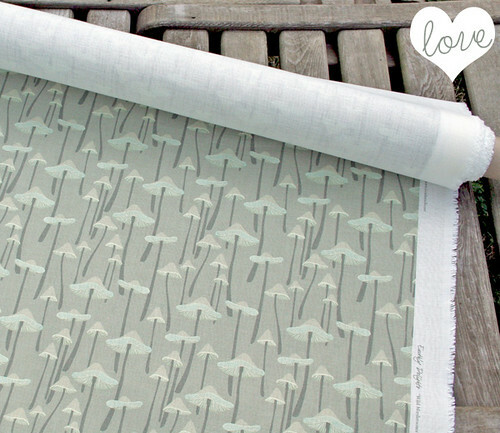 The wild mushroom is currently one of my favorite prints... though it's hard to pick just one because I see lots that I'd use in my home. But the wild mushroom stands out to me as a great pattern for a roman blind in a kitchen. I know, me and my roman blind obsession. But this pattern is understated enough to be modern and clean while still being a bit cute (which I love) so it would work nicely in a simple, streamlined kitchen like mine. I can't wait to get settled in my new space, I'm dying to decorate and sew again -- moving is fun but I'm ready to play house!